Dr. Crowley talks to Rosanna Scotto and Lori Stokes on Good Day New York on February 19, 2018. Watch here! Dr. Robi Ludwig hosted Dr. Crowley on her Talking Live show from Times Square on March 5, 2018. 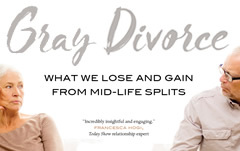 Here Dr. Crowley talks about her own personal losses, and how they shaped her book, Gray Divorce. Watch here. Dr. Crowley spoke to members of the divorce group Après Divorce in May of 2018 in Greenwich, CT. Watch a short clip here. On November 1, 2018, Dr. Crowley appeared on the Gender & Society podcast. On May 9, Dr. Crowley spoke with Kathryn Zox about gray divorce. Listen here. On April 28, 2018, Dr. Crowley was on WOR New York City Radio talking about gray divorce. Dr. Crowley talks to Michael Harrison on A Touch of Grey Radio, WNYM in New York City on April 7, 2018. Listen here. Dr. Crowley talks to Divorce Coach Mandy Walker about coping after a mid-life divorce on April 2, 2018. Listen here to the program Conversations About Divorce and read more here. Gray Divorce is the topic of conversation on The Patricia Raskin Show (voiceamerica.com). You can listen to Dr. Crowley's segment here. Dr. Crowley and Sandhya Verma-Higgins discuss both the causes and consequences of gray divorce with Cyma Shapiro, host of For Women over Forty, on June 14, 2016. In this segment, posted April 9, 2018, Gray Divorce is featured by Book Q&As with Deborah Kalb. 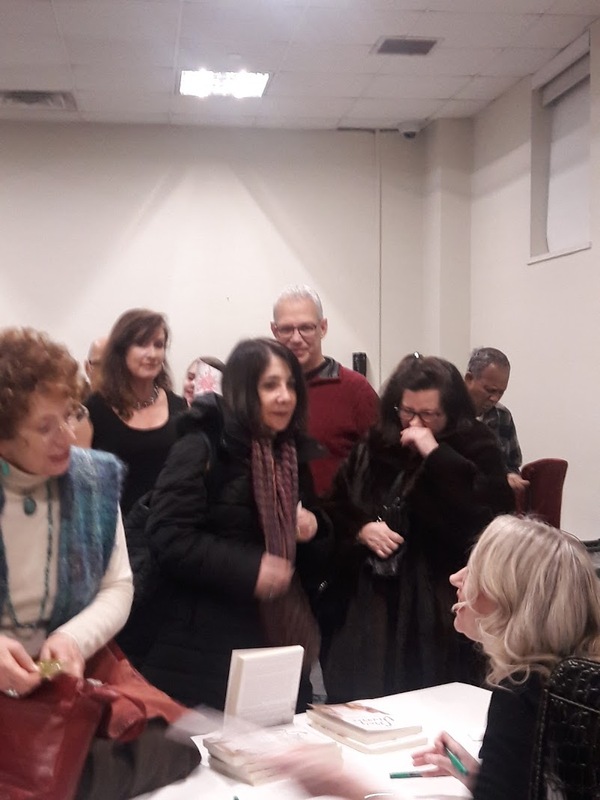 Dr. Jocelyn Elise Crowley signed copies of her book after speaking at NYC's 92nd Street Y on February 5, 2018. Thank you! Dr. Crowley talks about her career at Rutgers in Central New Jersey and her book with Erica Lamberg in The Courier News and The Home News Tribune. The Edward J. Bloustein School of Planning and Public Policy at Rutgers University profiles Dr. Crowley's work on gray divorce. Dr. Crowley discusses the importance of workplace flexibility on workingmother.com in August 2016. Dr. Crowley discusses how her own life inspired her to study workplace flexibility on the-broad-side.com in June 2013. This piece was reprinted by the Huffington Post in June 2013. Anne-Marie Slaughter discusses Dr. Crowley's work on the role of flexibility in making life easier for caregivers in The Atlantic in May 2013. Dr. Susan Newman interviews Dr. Crowley about her work on mothers' movements in Psychology Today in May 2013. Dr. Crowley's research on motherhood and flexibility is covered by Forbes.com in May 2013. Nanette Fondas of The Atlantic describes how Dr. Crowley's research on workplace flexibility can help inform public policy in May 2013. 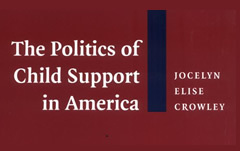 Dr. Crowley's work is cited in Judith Warner's report Lessons Learned from the Center for American Progress in April 2013. Dr. Crowley discusses her work on mothers and workplace flexibility in Rutgers FOCUS in April 2013. Dr. Crowley is interviewed by Ernie Brown and Rachel Crowson on America's News Network on June 18, 2013. Dr. Crowley discusses her research on workplace flexibility on America's Morning News with John McCaslin & Dana Mills on June 17, 2013. Dr. Crowley speaks to her husband, Alan Colmes, about her book on June 6, 2013 on the Alan Colmes Radio Show. 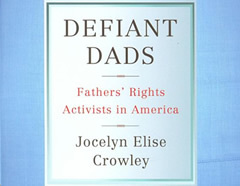 Interview with Dr. Crowley and Dr. Kevin Keough for the North Star Guardians podcast on her book, Defiant Dads: Fathers' Rights Activists in America. Dr. Crowley spoke with Alan Colmes on the Alan Colmes Radio Show on 11/12/08. Dr. Crowley appeared on Steve Malzberg’s radio show on 11/17/08. Dr. Crowley discusses her work on the fathers' rights movement with Amanda Marcotte of Pandagon.net. Dr. Crowley appeared on the Joan Hamburg radio show on 12/10/08. Dr. Crowley discussed her book on the Imus in the Morning show on 12/15/08. Dr. Crowley appeared on the Kathryn Zox show on 12/8/08. Dr. Crowley spoke with Northeast Public Radio's Joe Donahue about her book on 12/8/08.